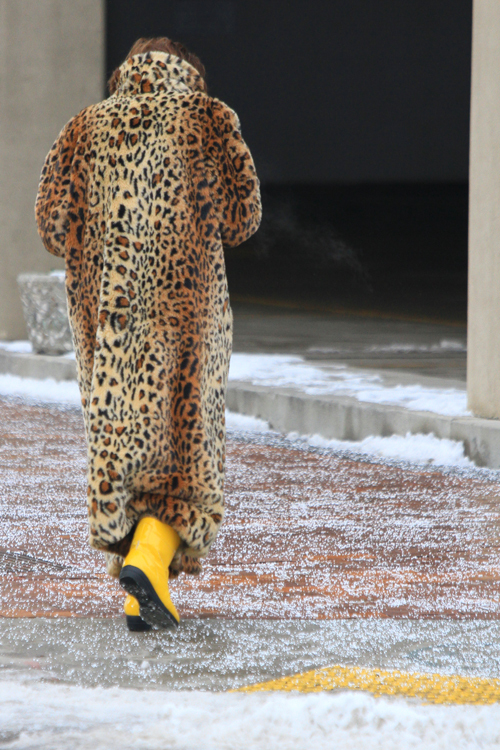 Leopard Coat Style . . . Stylish and warm winter weather wear. Gray Jacket . . .